Struggling to make sense of the various print metrics? and optimize your printer fleet. Make decisions based on information that matters. Need a quick view on the print function within your organisation? 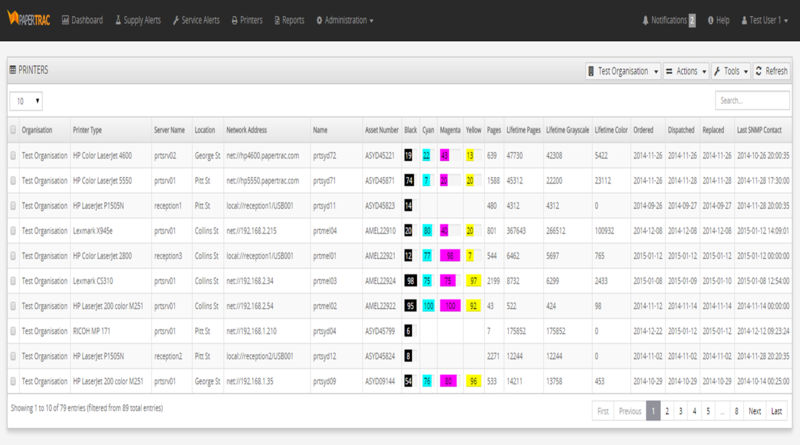 View current status and historical trends in the PaperTrac dashboard and potentially preempt upcoming print problems. View all current supply and maintenance alerts and empower your organisation with the live information that is required to react proactively towards its customer or end user base. Need to get a handle on the print spend within your organisation? 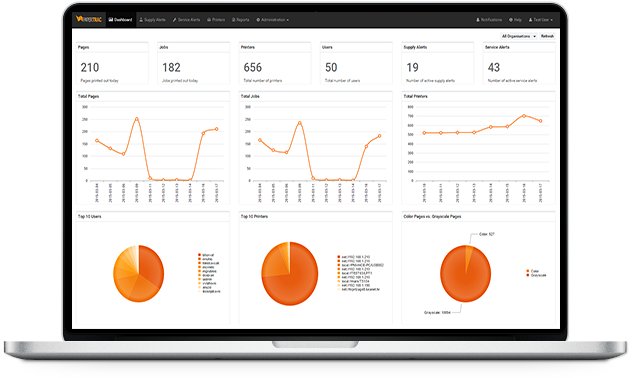 A multitude of reports allows you to report on various device, user and supply metrics across various time periods and report formats. PaperTrac ships with an up to date device, supply and spare part database. Eliminate part allocation errors and allow your operators to concentrate on resolving the real problems. PaperTrac is a cloud based solution accessible from anywhere using any of the current web browsers. Let us handle all upgrades and maintenance. PaperTrac works with all manufactures of printers, copiers and multifunction devices and supports both networked and locally attached devices. PaperTrac supports both ordinary organisations and organisations that are MPS providers. MPS within MPS is also supported. We offer custom branding and modifications such as atypical reports and similar. Please contact us for more information! Need a custom assessment of your print infrastructure? We can help you optimize your print environment. © Copyright 2010-2015. PaperTrac Pty. Ltd. All rights reserved.